This is one of the simplest projects I have ever taken on. 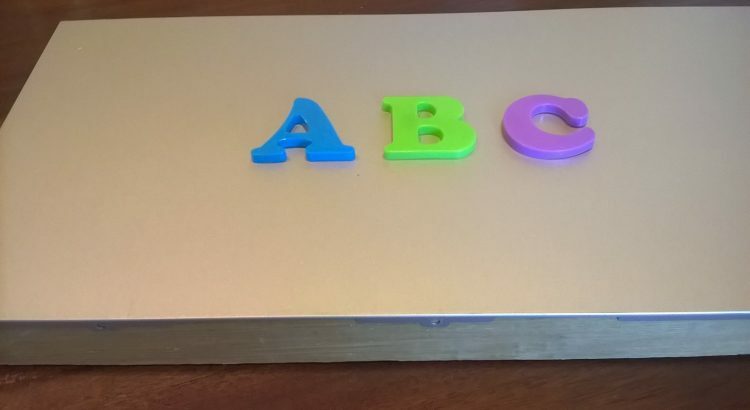 I was inspired by a grandchild using a small file cabinet as a surface to place magnetic letters and numbers. The first time I saw him spell his name he was doing that. The hand eye coordination for writing evolves. The magnetic letters makes it so much easier to get started. Since I am forever keeping stuff instead of discarding, I pondered what did I have that would work. I had kept a DVD player that conked out. Sure enough, the metal cover was perfect. All I did was attach some trim boards, lumber I had salvaged, and voila, it was finished. All I paid for was the screws. 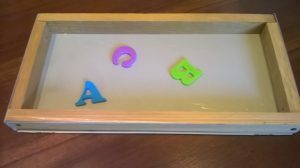 Turned over, the work surface serves as a tray to store the letters and numbers. A child could help screw in the boards if you wished. 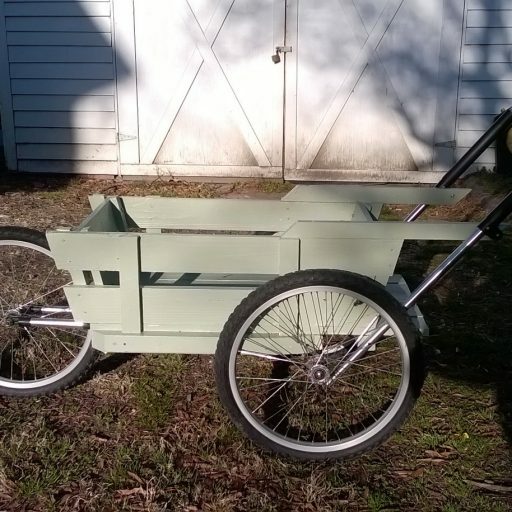 This is also a great lesson in recycling, repurposing and waste not want not.